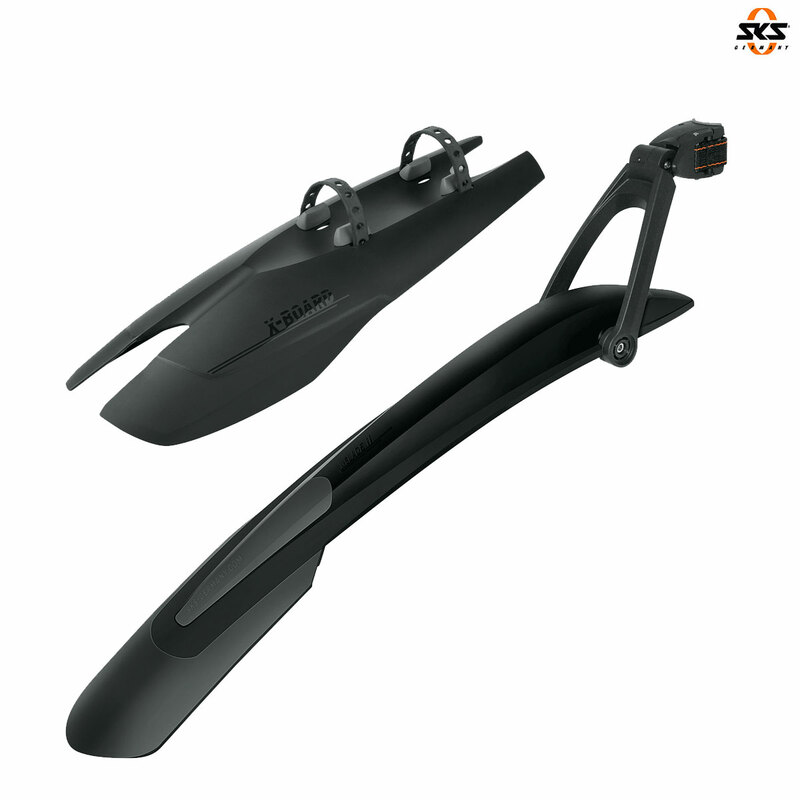 High quality clip-on MTB mudguard set for 650B and 29" wheels. The set consists of the X-Blade which is a 2-component dirtboard for the rear wheel of mountain bikes. Due to the quick-release mounting, the X-Blade can be fitted to almost any seat post and optimally adjusted to the wheel using the 2-joint technology. The X-Board is an innovative front guard with rubber straps fitting on the downtube, and the same 2-component construction as the X-Blade to form a matching pair. Supplied with adjustable cable spacers.